Urbana, Ill. — Sept. 19, 2017 — The AOCS today announced that Scott Bloomer has been named its new Director, Technical Services, effective immediately. Bloomer’s knowledge of cutting-edge industry trends will help the AOCS continue to serve the evolving needs of the Society’s global scientific community. Bloomer has over 20 years of experience in the fats and oils industry. Most recently, he was a principal scientist and senior patent agent at Archer Daniels Midland Company. In that role, he assessed the value of new process technology and product development and prosecuted patents in the areas of food oil, biodiesel and renewable chemicals from oils. “Scott’s in-depth knowledge of the science and technology driving innovations in the fats and oils industry allows him to put his finger on the pulse of where the industry is going,” said Patrick Donnelly, Chief Executive Officer of the AOCS. “His knowledge and many years of volunteer service with AOCS make him a unique and invaluable member of the AOCS team serving the Society,” Donnelly added. As Director, Technical Services, Bloomer will lead AOCS technical products and services and represent the scientific interests of AOCS with key scientific and technical stakeholders in government, academia and industry. “The breadth of fats and oils experience held by the members of the AOCS is surpassed only by the energy and enthusiasm they devote to the expansion of their knowledge. I am delighted to join the AOCS team and am looking forward to supporting the members in their advancement of the science and technology of fats and oils,” Bloomer said. In addition to his work at ADM, Bloomer was a senior research scientist and corporate patent liaison at Land O’Lakes Inc. and senior research scientist in oilseed technology at Cargill. He holds a doctorate in bio-organic chemistry from the University of Lund, Sweden. The AOCS advances the science and technology of oils, fats, surfactants and related materials, enriching the lives of people everywhere. The Society provides technical services, including analytical testing methods, laboratory proficiency testing and reference materials, and administers the US position for several ISO technical committees and subcommittees. Discover the latest industry news by reading the Society’s magazine, INFORM, and following @aocs. In this free webinar, Steve Hill, former AOCS President and longtime AOCS member, will share insights and ideas to help young professionals achieve success in their careers. Steve will draw from his many years of experience in the food and fats and oils industries. He will also share insights gained as an AOCS volunteer leader. 3. Learning and leveraging soft skills. 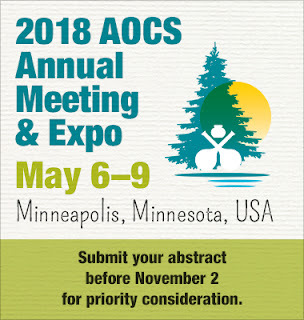 All AOCS members are encouraged to attend and invite a colleague to join along. This FREE webinar is made available by the AOCS Young Professional Common Interest Group. Steve Hill, former AOCS President and longtime AOCS member, recently was appointed Vice President, Research and Development, at T. Marzetti, a Lancaster Colony Company. T. Marzetti is a food company primarily known for its delicious salad dressing and dips, but it also has a large food service business as well as a full range of bakery products under the FlatOut, Angelic Bakehouse, New York Bakery, Sister Schubert, and Reames brands. Previously, Steve was with Kraft Foods and ran his own consulting company, The Hill Advantage LLC. 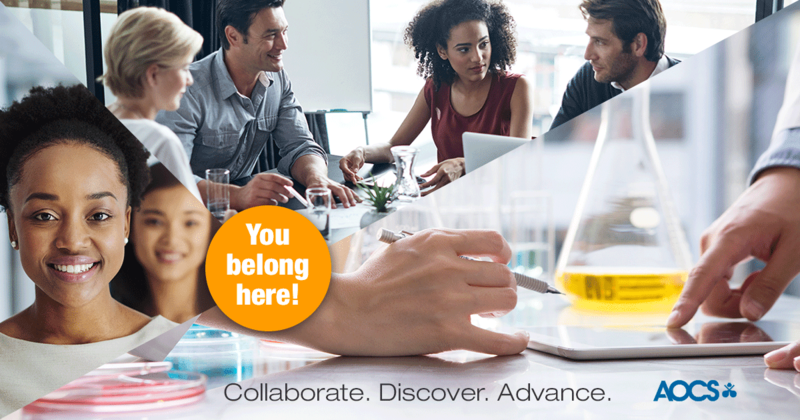 The Young Professional CIG provides newcomers to the industry with the resources and connections they need to advance their careers. If you are a recent graduate stepping into a new career position, this CIG is designed to help you transition from student to professional. Submit your abstract(s) now to present at the 2018 AOCS Annual Meeting & Expo, May 6–9 in Minneapolis, Minnesota, USA! Opportunities are available for both oral and poster presentations. For priority consideration, submit your abstract by November 2. Hot Topic Symposia will address how current, critical issues impact the business of fats and oils and affect the future of our industries. Symposia are held on Monday, May 7, 2018, from 7:55–10 am and no competing Division programming is held at this time.Submit a session proposal that addresses new technology, innovative research, or regulatory updates, today! Hot Topic proposal reviews will begin November 1. Elevate your visibility in the industry, build connections, and receive valuable input on your work.